On the heals of his big win at the Waco Annual Charity Open where he threw a perfect -18 on his 2nd round, Paul McBeth has released his “In The Bag” video for 2019. 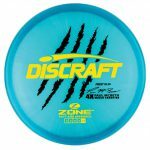 Now you can see what Paul’s first year throwing Discraft looks like! 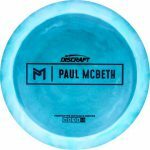 So what discs are Paul McBeth throwing? Now, for your enjoyment, watch Paul throw these discs in his -18 round at the Waco Annual Charity Open. Obviously, he did not take long to adapt to his new bag of discs and makes great use of the different flight characteristics of his discs. What’s In The Bag of the Review King 2014? 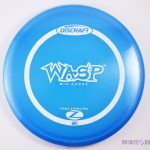 We have thousands of disc reviews in InfiniteDiscs.com, but there is only one Review King. Andrew “Big Country” Belet has tested and reviewed nearly every golf disc on the market. 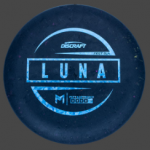 If you had a chance to try every disc golf disc out there, what discs would be in your bag? Watch this video to see exactly what discs Andrew keeps in his very large bag. What’s in the Bag of a Level 13 Grandmaster? If you tested nearly every golf disc made, what would be in your bag? 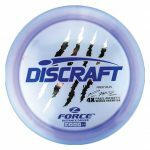 Most disc golfers get comfortable with a few discs (often from the same manufacturer) and stick with them. 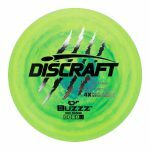 Even top pros don’t try the majority of discs on the market because they’re limited to discs made by the manufacturer that sponsors them. You’re probably not going to test every disc before you decide which discs to keep. If you did, your bag would probably have a completely different assortment of discs. Prodigy M2 – Longest Midrange – straight with a healthy fade. 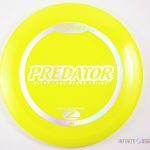 Prodigy M1 – Overstable disc with lots of glide. Legacy Patriot – Understable driver, straight throws out of the woods. 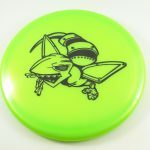 MVP Neutron Shock (3) – Overstable fairway driver, wind fighter, tomahawk throws. 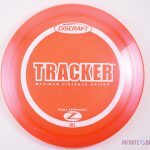 Innova T-Bird (3) (CE Plastic, Metal Flake, Star TeeBird) – Straight shots with fade. 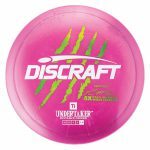 Innova Destroyer (4 Star, Echo Star, – Sidearm, Tomahawk, and Thumber throws) straight with big fade. Latitude 64 Stilleto – Big meat hook shots.